Have the adventure of a lifetime during your next summer holiday and join us on our Amazon Rainforest Conservation Project for teenagers in Peru. You will work at the Taricaya Ecological Reserve and live at a camp in the heart of the jungle. This reserve is owned and funded primarily by Projects Abroad and our volunteers play an important role in keeping things going. 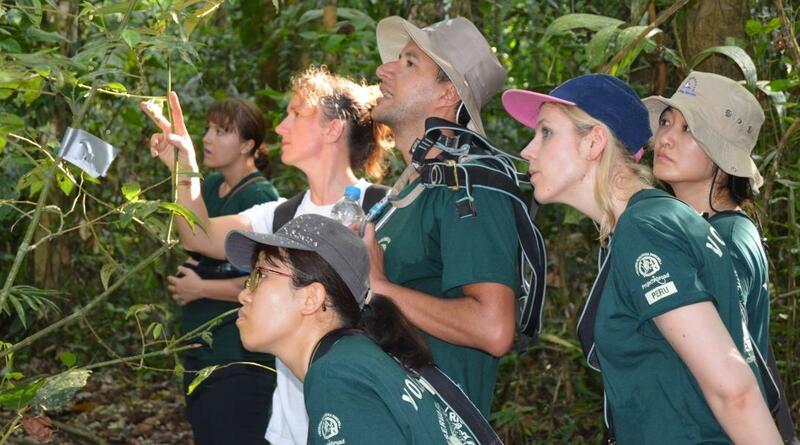 Explore the rainforest on foot, and help care for animals at our rehabilitation centre. Count the wild animals you see and record their numbers for scientists. 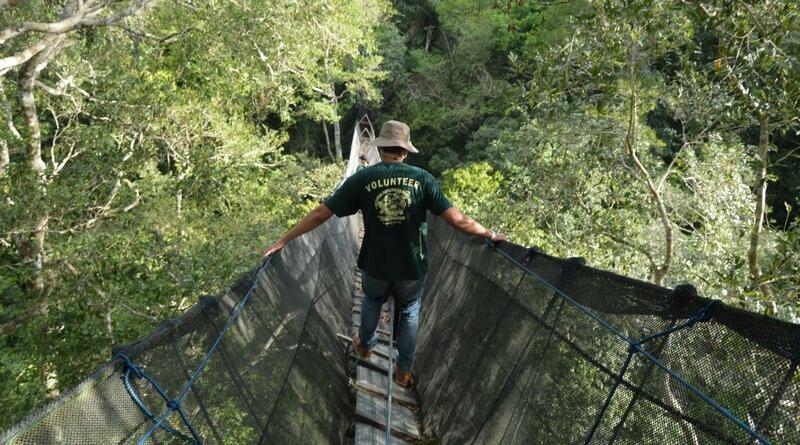 Get off the beaten track and build trails in the jungle so conservationists and volunteer can venture further. This is an amazing opportunity to break away from city and suburban life and immerse yourself in the magic of an ancient rainforest. You will also be part of a group of young volunteers from all over the globe, so you’re sure to make new friends. 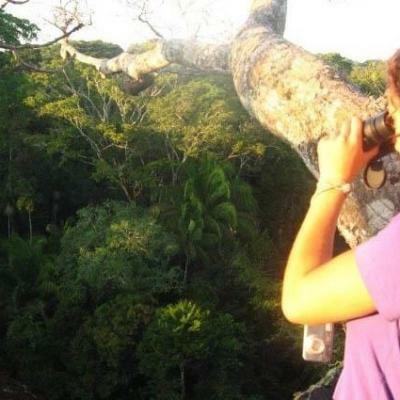 Is an Amazon Rainforest Conservation Project for teenagers right for me? Ever dreamed of going on a real jungle adventure? Seeing spider monkeys swinging free in their own patch of paradise? Waking up amid towering trees and the sound of creatures greeting the day? Have all of these wishes and more come true when you sign up to volunteer in the Amazon Rainforest. You will live and work in the heart of the Amazon. How many people do you know who can say they did that? Every day will bring new outdoor adventures. You will see animals, birds, insects, and plants you’ve only read about in magazines or seen on TV before. If you’re thinking about pursuing a career in conservation, you couldn’t ask for a better opportunity to get some practical experience! The skills you gain as a volunteer on this project will be a great addition to your university application or CV. It’s also a great experience to mention in interviews. You will help us keep a record of the various bird and animal species roaming around the reserve by doing surveys. Sometimes you will observe wildlife from viewing decks and walkways high up in the forest canopy. Other times, you will collect data from camera traps or scour the river banks for turtle nests. We have identified almost 500 different species of bird alone in the reserve. You will also get to see incredible wildlife, such as various species of monkey, big cats, giant anteaters, and tapirs! Thanks to our extensive research in the area, Taricaya Ecological Reserve is now known globally as a biodiversity hotspot. It has played host to international courses and famous film companies, from National Geographic to the BBC. The rescue and release programme at Taricaya has been running for 16 years. 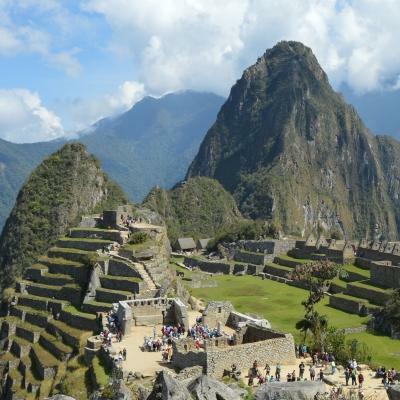 It was the very first of its kind in Peru. It is now recognised as one of the top rescue and rehab centres in Peru. All the animals in the centre require a lot of attention daily. You play a vital role in taking care of them. This includes feeding the animals, cleaning enclosures, draining and refilling pools, and assisting on-site vets when necessary. We’ve had many successes over the years, such as releasing more than 5 groups of spider monkeys back into the wild. We have also rescued a number of spectacled bears from circuses and did the first ever relocation of a jaguar in Peru. Freshwater side-necked turtles are endemic to lakes and rivers throughout the Amazon. However, poachers steal their eggs and this has had a devastating effect on the population. To help, we run a relocation programme for turtle nests. We have built artificial beaches at Taricaya where they can hatch safely. As a volunteer on a High School Special, you will arrive between June and August. This is the perfect time to help with the cleaning and preparation of artificial beaches. You will also get to spend some time searching for nests to transfer them to the artificial beaches for their incubation period. This project offers you the unique opportunity to live in and explore a part of the Amazon jungle that few other people have had the privilege of seeing. What’s more, you’ll do this with others teenagers from all over the world and make new friends as you go along. You will get to experience a bit more of the surrounding area during a weekend trip. This will typically entail a camping trip down river or a visit to Puerto Maldonado. Animal Defenders International (ADI) is an integral part of our projects to rescue and protect Spectacled and Andean bears. These bears are only found in South America and currently classified by CITES as highly endangered. The organisation has been involved with several international animal rescues. They fund both the relocation and rehoming of circus lions, tigers, chimpanzees, and other animals. It has become a major force for animal protection, succeeding through its undercover investigations and securing legal protection for animals. 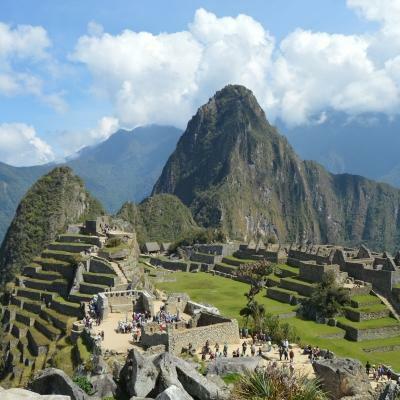 You’ll be based in the heart of the Peruvian rainforest at Taricaya Ecological Reserve. This piece of land is located in the Amazon jungle and home to an incredible array of animal, bird, insect and plant species that you might only have dreamed of encountering before. Gigantic ancient trees rise up so high you can’t even see their tops, except when you’re right among the leaves on our canopy walkway. The walkway is the highest in South America. Enjoy spotting curious spider monkeys peeking through the branches and wake up to a chorus of chirps and squawks as the birds greet the day. The reserve is owned and funded almost entirely by Projects Abroad, which makes us doubly proud of the great work you will help us do there. This is why volunteers - like you - are so vital to keeping the programme running. Puerto Maldonado is the nearest town, about an hour’s boat ride away. This is where the airport is located and also where you will find shops, hotels, and internet access. Why do we do conservation work in the Amazon? The main aim of our Rainforest Conservation Project in Peru is to help the most diverse ecosystem on the planet recover from damage. The Amazon rainforest is under constant threat from agriculture, logging, poaching and smuggling, pollution, mining and urbanisation. Not enough is done to protect and preserve the wildlife. Our project at Taricaya works to rehabilitate an area previously damaged by human activities, such as logging, gold mining, and farming. We conduct surveys throughout the area to track the rehabilitation of local wildlife and vegetation, and reintroduce species previously found in the area, like spider monkeys. We also work with freshwater turtles, focusing on protecting eggs and hatchlings to raise their numbers. As a volunteer on our High School Special, you will become part of these efforts to protect and preserve the Amazon rainforest. Previous groups of teenagers have made phenomenal contributions to our work. Recently, younger volunteers rescued over a 1000 turtle eggs and recorded 18 mammal species in camera trap research! 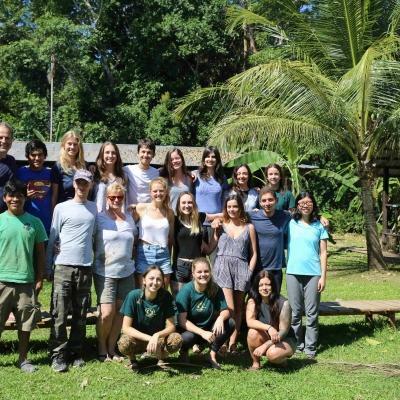 Join us in Peru and be part of vital volunteer conservation work in the Amazon for teenagers. In today’s world, our environmental state is a hot topic and one that many do not know what to do about. 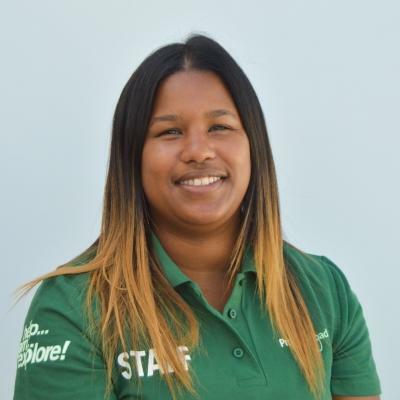 Although I had joined my school’s “eco club”, I knew I wanted to do more, which was what led me to decide to make the arduous journey to the Amazon, and see just how much I could do! When my departure date arrived, I didn't want to leave and I still frequently think fondly of my time there. If you love animals, care for the environment, are eager to learn new things, and aren't afraid to get dirty, then this project is definitely for you! You'll share accommodation with other Projects Abroad volunteers during your stay at the Taricaya Ecological Lodge. This is a great way to get to know your fellow volunteers, share experiences, and explore your surroundings in your time together.